Concluding our three-part blog Preventing Heat Injuries in the Summer: Tips for Outdoor Workers, below we will take a closer look at what injured workers can do to minimize their chances of developing heat exhaustion or heat stroke as they work outdoors during the hot summer months. Wearing the proper clothing – This includes wearing clothing that is light in color and that is loose-fitting, lightweight and allows the body to breathe. Staying hydrated – Outdoor workers should make it a point to drink plenty of water and other hydrating beverages (like, for instance, sports drinks that can replenish their electrolytes) during their workdays. Warding off dehydration will be key to letting the body properly regulate its temperature through perspiration. Being aware of whether you may be taking dehydrating medications – Some prescription or over-the-counter medications can increase the risk of dehydration (especially if, for example, they contain ingredients like caffeine). Being aware of when medications you may be taking can increase your risk of being dehydrated can help you know when to take extra measures to stay hydrated. Scheduling breaks or rest periods for the hottest periods of the day – When possible, try to schedule rest periods for the times in the day when it will be the hottest outside. During these periods, try to rest in the shade or, better yet, in an air-conditioned area so that you can reduce your body temperature and keep it low. Have you develop heat exhaustion, heat stroke or any injury on the job? 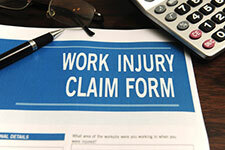 If so, Denver Workers’ Compensation Attorney Jennifer Bisset wants you to know that she is here to represent your rights and help you obtain the benefits you need and deserve. All of the experienced legal professionals at the Bisset Law Firm are dedicated to providing each of our clients with the highest quality legal representation, keeping each of our clients in the loop at every stage of their cases and, ultimately, helping them obtain the best possible results for their cases. When you choose to work with the Bisset Law Firm, you can trust that we will work diligently to keep your case moving and that we will meet all of your case deadlines in order to help you secure the maximum possible benefits for your injuries and losses.